A spate of armed attacks across Iraq, including car bombings, has left at least 30 dead and scores injured. Meanwhile the central government is struggling to regain control of Fallujah overrun by al-Qaeda and other insurgent groups early this year. Numerous car explosions struck the capital Baghdad on Saturday. In Mansour neighborhood, at least four people have been killed and 12 others wounded in a car explosion, according to police. 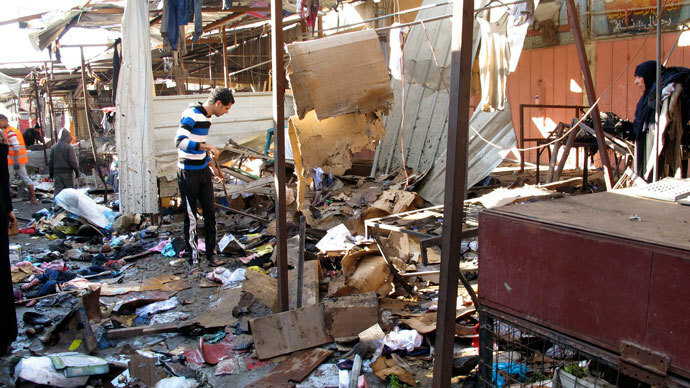 Another car bomb at the bus station in eastern Baghdad killed four people and wounded six, authorities said. A blast near one of the hospitals in the north of the capital killed four and injured 8 people. Further explosions in a busy commercial street in western Baghdad took the lives of at least two people and wounded 13, officials announced. Four more were killed and 13 wounded near a juvenile prison in Toubchi district. Authorities had to seal the area to search for the inmates, as some of the convicts managed to escape following the blast. 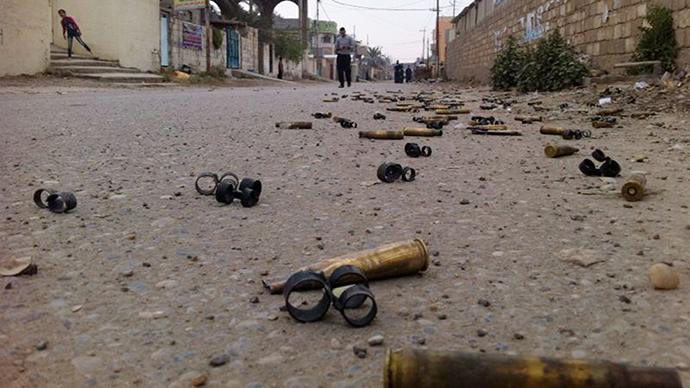 Mortar shell fire in al-Adil neighborhood killed three people and wounded nine. Another bomb explosion in Amariyah commercial district killed two people. 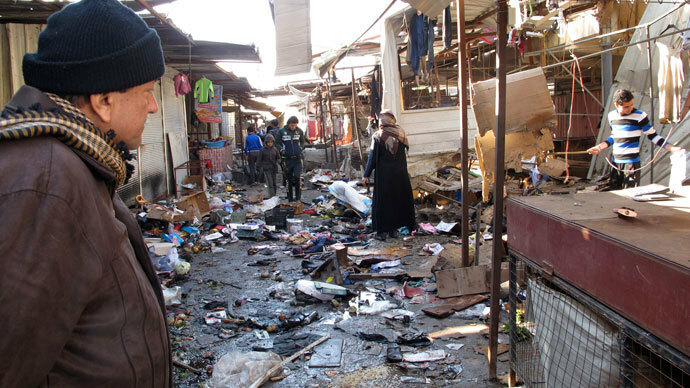 Three more have been killed in an explosion inside a market in Baghdad's Madain area, which also wounded at least nine people. 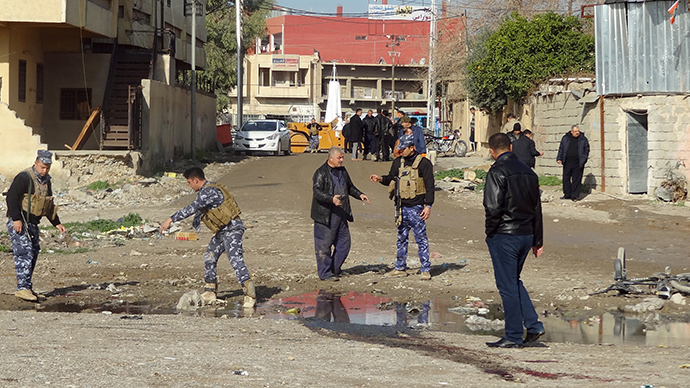 In the northern city of Kirkuk also at least one person was killed and 15 wounded in an attack, according to the police said. In December violence escalated further, after authorities broke up an anti-government Sunni protest camp and arrested a Sunni lawmaker on terrorism charges in Anbar province. With the rise of tension the army was forced to pull back from the province, allowing al-Qaeda fighters to seize control of Fallujah and parts of the provincial capital Ramadi. 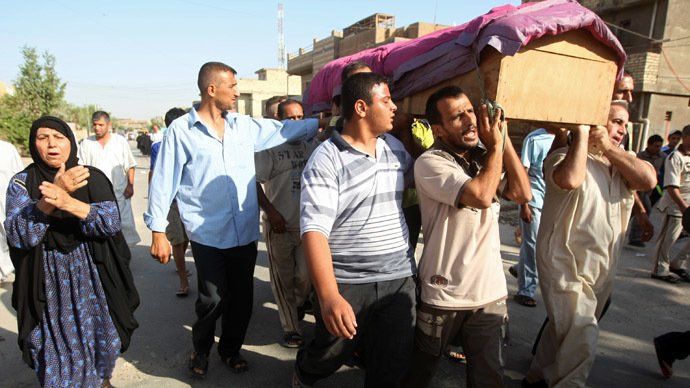 Over 500 people including many civilians were killed in Anbar during the in-fighting between rebel groups and the al-Qaeda-linked Islamic State of Iraq and the Levant since the beginning of 2014. At least three people were killed in overnight clashes on Saturday as Iraqi security forces and allied Sunni tribesmen tried to regain control in the area. On Saturday, US Vice President Joe Biden held a phone conversation with the Iraqi Prime Minister Nouri al Maliki to discuss the fighting in Anbar. Earlier this week, Iraq asked the United States for new arms to fight the ISIL militants and asked US troops to train its counter-terrorism forces. According to US Army Colonel Steve Warren, a Pentagon spokesman, the military aid will be delivered to Iraq “as rapidly as possible,” but US officials did not announce any plans of military training for Iraqi troops. Although the provincial capital Ramadi is mostly under central government control, scores of heavily armed ISIL fighters are still in control of Fallujah and the government cannot block the flood of new weapons and reinforcements to the area. “The tribes scattered around Fallujah have zero loyalty to the central government,” Sheikh Mohammed Al-Bajari, a tribal leader and negotiator in the city, told Reuters by phone. 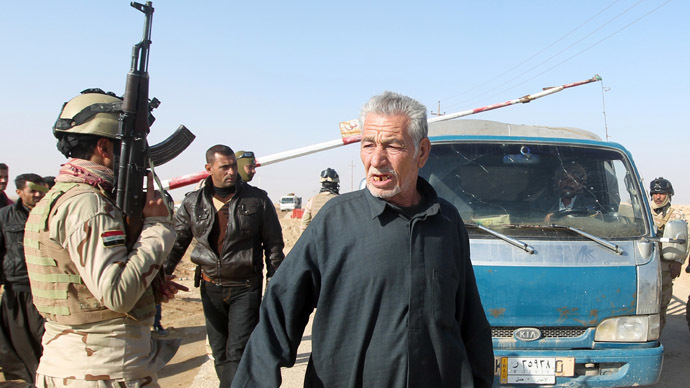 “Now [the army] are not controlling anything and no roads can be closed,” he said of Fallujah’s southern approaches entirely under control of tribes hostile to the government.